Our volunteer Saffie is moving on to a full time job in the legal sector. We are sad to lose her but we don’t doubt she is going on to great things in her career, and we are grateful for all the time she has spent working on our front lines. 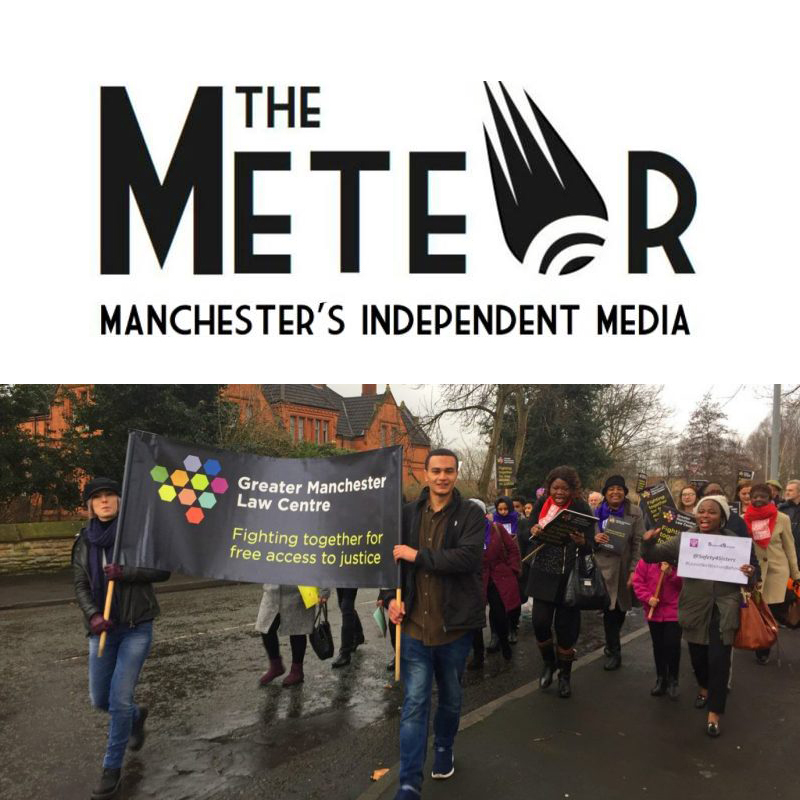 We are pleased to be the focus of a feature article by Nick Nicholas Prescott in The Meteor, Manchester’s Independent Media, on the topic of Legal Aid and the wider context of austerity. “In addition to lowering rates, the Government cut all funding support for Law Centres, independent not-for-profit legal practices offering free advice and representation to local clients. In 2012 Manchester had four law centres: North, South, Central and Wythenshawe. All closed due to the cuts. South Manchester Law Centre, had been open for over 40 years, but went into liquidation in September 2014. 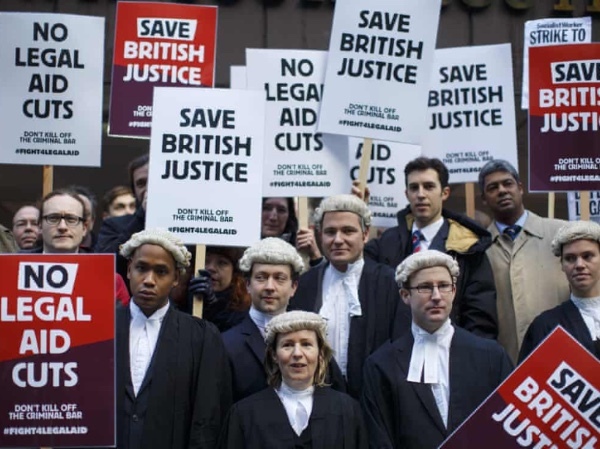 GMLC volunteer Robert Povall examines Child Poverty Action Group’s legal action against the Government to defeat a statutory defence which could have left 70,000 underpaid disabled claimants £150m out of pocket. “An error on the part of the Department for Work and Pensions (DWP) meant that many of those moved onto ‘contributory Employment and Support Allowance (ESA)’ were not assessed for the means-tested ‘income-related ESA. “This led to a large number deprived of additional support in the form of enhanced and severe disability premiums. All of our services are free and no client ever has to pay out of their own pocket for our professional, face to face legal advice and representation. We train law students, the next generation of social welfare lawyers, who advise and represent clients as part of our Legal Advocacy and Support Project. 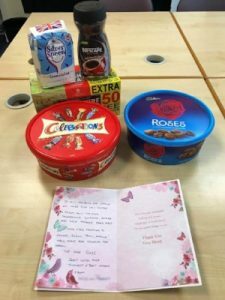 One client who was helped by these students volunteers to win an ESA appeal very kindly brought in gifts of tea, coffee, chocolate and cards to all at GMLC! We never expect such gestures but we are very pleased to have been able to provide free access to justice. Please, consider a donation to support our vital work. We have always said: the right to justice is as important as the right to health or education. As Richard Burgon asked on our panel earlier this year, would you want a pro bono surgeon to have to carry out a vital operation on you for free in their spare time? This is why we demand funding for professional, face to face legal advice and representation. Read the full guardian opinion piece here, and the response from GMLC patron Willy Bach here. We are a law centre run by the community, for the community. This means we need your support. 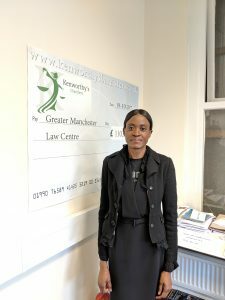 If you have a fundraising idea, let us know at develoment@gmlaw.org.uk. Please consider making an individual donation by clicking here.